Sure, it may be far from perfect, but you can’t accuse it of being uninteresting. 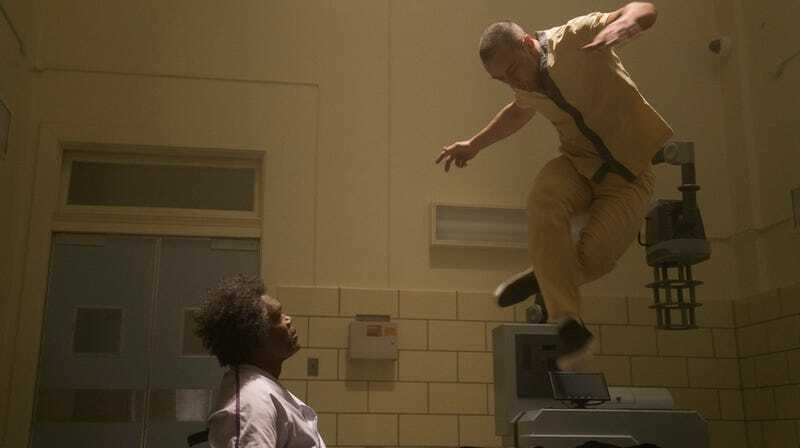 Glass, M. Night Shyamalan’s weirdo interpretation of a superhero trilogy conclusion, finished atop the box office for the second weekend in a row. With $19 million and a drop of just over fifty percent, the sequel to Unbreakable and Split is well on its way to grossing $100 million in the U.S.
That’s much better news than any of this week’s new releases got, starting with Fox’s The Kid Who Would Be King. Despite generally positive reviews (I didn’t say ours, I said “generally”), the film failed to find much of an audience, ambling its sword-and-sorcery trappings into fourth place, perhaps on the back of Patrick Stewart’s bellowing Merlin. Faring even worse was the misbegotten Matthew McConaughey-Anne Hathaway noir exercise Serenity: Despite a twist ending so hilariously ludicrous that we almost encourage seeing it for yourself, the mystery thriller sailed straight into eighth place with a mere $4.8 million, even scoring the additional ignominy (or praise, depending on your point of view) of receiving a “D+” CinemaScore from audiences. Rounding out the top five we’ve got The Upside, which somehow manages to keep attracting audiences eager to see Bryan Cranston learn the value of life from Kevin Hart, landing in second place with $12.2 million and a domestic gross of $63 million, which actually is kind of gross. Aquaman claimed the number-three spot with another $7.35 million, giving it a surprising record-breaking title of its very own; and in fifth place we find Spider-Man: Into The Spider-Verse, sunnily webbing up $6.15 million and well on its way to becoming Sony Animation’s highest-grossing domestic release ever, happy news indeed for one of our favorite Spider-films ever. In limited release, Jean-Luc Godard’s even-more-alienating-than-usual The Image Book made $15,200 from three locations, while Never Look Away, the Best Foreign Film Oscar nominee from The Lives of Others director Florian Henckel von Donnersmarck, scored the best per-theater average by pulling in $26,270 from just one theater. And weirdly, Clint Eastwood’s The Mule crossed the $100 million mark this weekend, thereby proving the old adage that you can only improve your box office receipts by having your octogenarian director film himself having not one, but two separate threesomes.